Realism - all the characters should be people, someone you could meet in a real world. No basement goblins or tech elves. Optimism - which implies a full color palette, not only washed-out cyberpunk grays underlined with bright neon signs. IRC Bubbles. 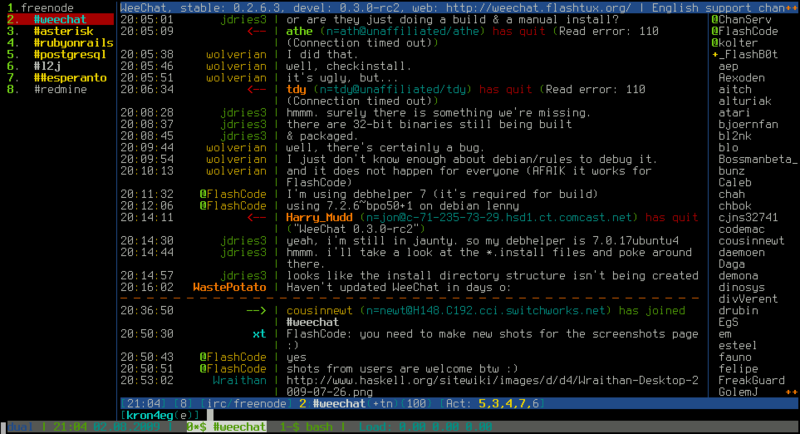 Many characters communicate via IRC protocol (sample irssi screenshot) both on their computers and phones. This can be solved as a rectangular box between panels, on a panel's top or bottom. Can be used as a narrating technique, for example with Cynic or sh0dan commenting other character's actions. 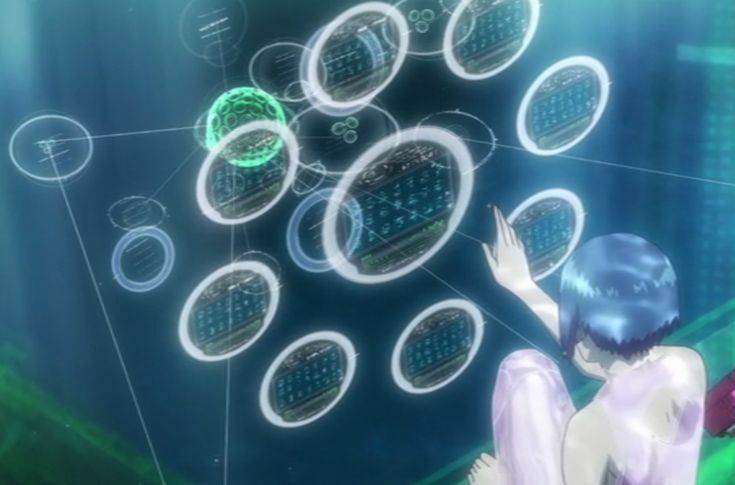 Interesting and realistic representation of technology without going into minority reporting or ghost in the shelling. Nerdiness - most of characters of Glider Ink willingly spend their evening in a workshop, playing with technology, building things, and doing all these pointless algorithmic exercises - for fun! They clutter their minds with trivia about how first computer works and sometimes speak Klingon. With all that, they're still human - and very varied. They should be drawn so. The state of “flow”, focus characteristic to deeply focused programmers, administrators and hackers in general. DO NOT DISTURB. Strong Female Protagonist webcomic used to be my personal benchmark for simplicity and realism. It may have a little too much text - something this comic will have a problem with as well. Stay Still Stay Silent has a beautiful, varied art style, it's own style for speech bubbles. Some characters are realistically plump, which is quite seldom in comics. The Sound of The World By Heart performs magic with the golden rays of light in most of the scenes, making the city look optimistic and beautiful.